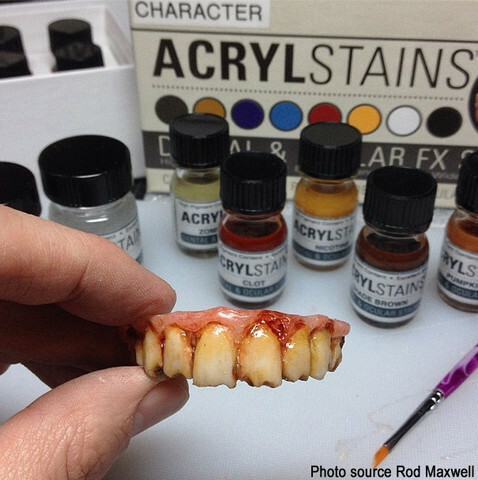 Not for use directly in the mouth. 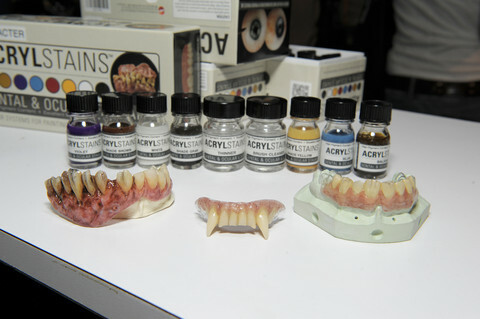 For theatrical denture and prop eye application only. 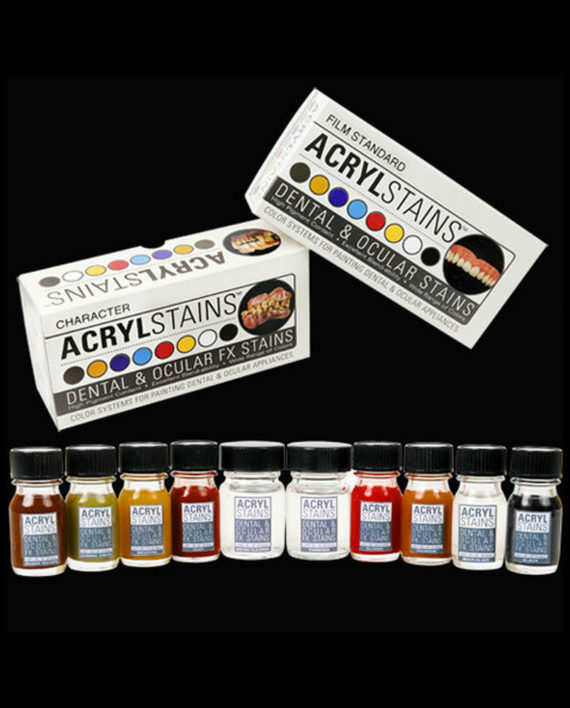 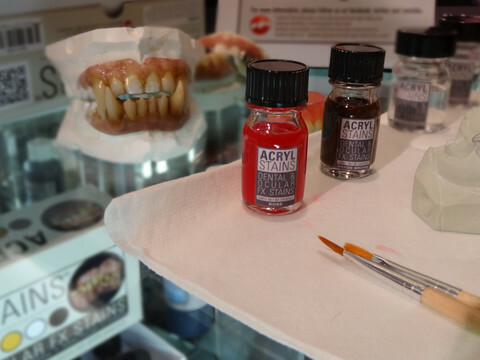 AcrylStains is an innovative color system created by Chris Gallaher and Kenny Myers for theatrical dentures and ocular prop staining. 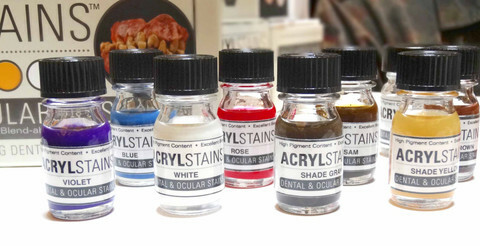 Available in two different color kits, Character and Film Standard, the secret of AcrylStains is the high pigment content and wide range of usable colors. 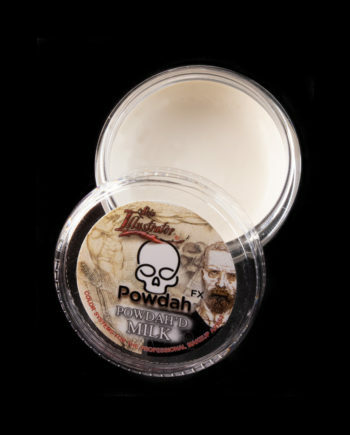 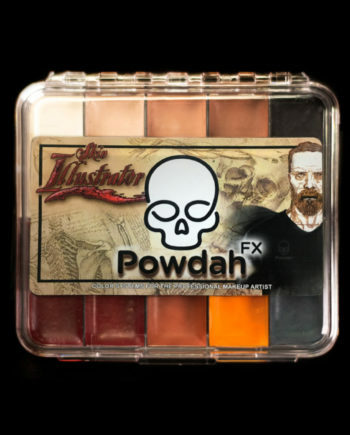 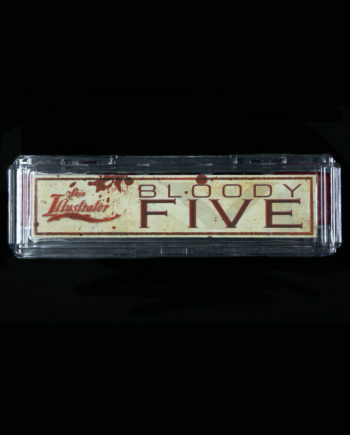 The Character kit contains: Shade Brown, Zombie Green, Nicotine, Clot, Bloody, Pumpkin, Multi-Glaze and Black. 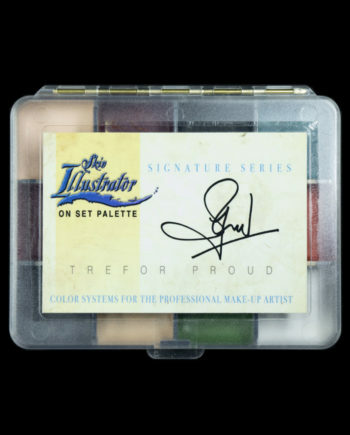 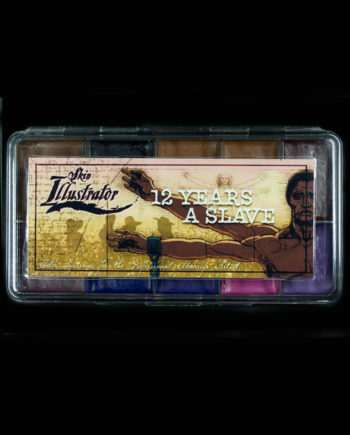 The kit also contains a thinner and a brush cleaner. 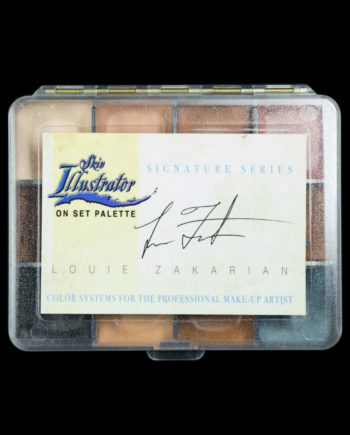 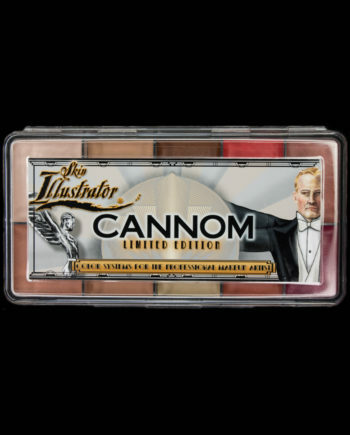 The wide range of colors make blending easier and more natural, and its durability lasts longer than any similar product.